The latest installment in the hunting action series 'Toukiden'. From the battlefield to the village that serves as your base of operations, the game takes place in a vast 'open world'. Explore the vast world for yourself, and enjoy hunting action from an entirely new perspective. The newest title in the hunting-action series 'Toukiden,' characteristic for its thrilling Targeted Destruction and a Japanese view of the world, will be available as a free-to-play version. You can also play the game up to and including the middle stages of the first chapter of the retail version's story free of charge. In addition, not only can you fight together with players of the retail version, but you can import your save data to the retail version as well. 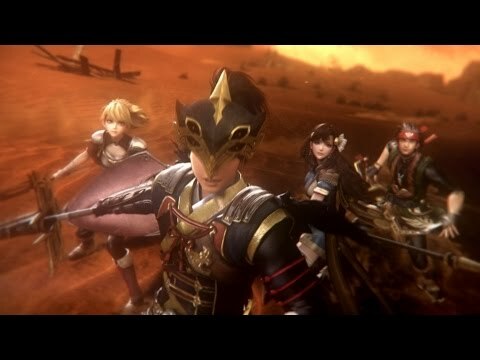 Toukiden 2 ©2016-2017 KOEI TECMO GAMES CO., LTD. Published by KOEI TECMO AMERICA CORP. Developed by KOEI TECMO GAMES CO., LTD. Toukiden is a trademark of KOEI TECMO GAMES CO., LTD. All rights reserved.